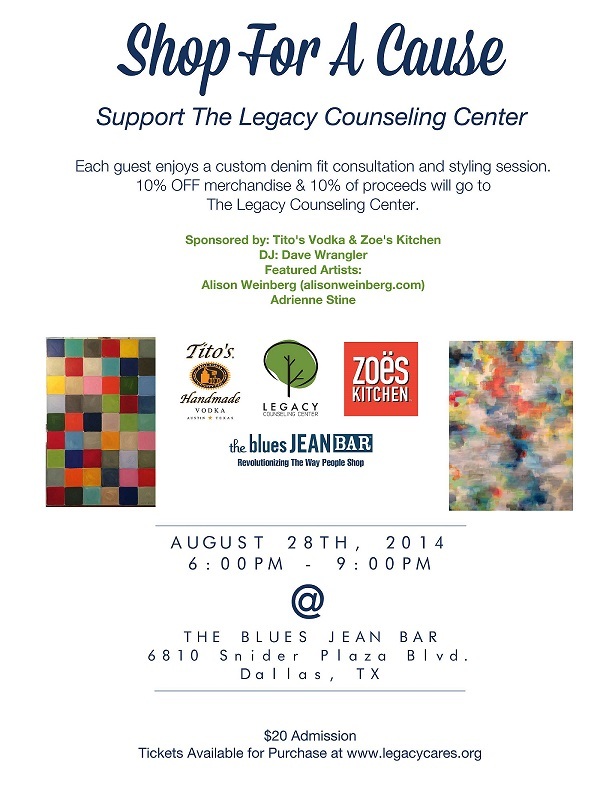 Thursday, August 28th, the Legacy Counseling Center, partnering with The Blues Jean Bar in Snider Plaza to host a fun night of cocktails, food, and shopping. we shopped, we drank cocktails from Tito’s Vodka, we ate snacks from Zoe’s Kitchen ans shopped from a bar that only serves the sweetest jeans. Each guest enjoyed a custom denim fit consultation and styling session with one of their fabulous ladies. Above Image: Purse by Coach, Shoes are the “Rockstud” flat from Valentino at Nordstom. For those of you not familiar with the Legacy Counseling Center, it was founded 25 years ago by a small group of psychotherapists and people living with HIV/AIDS who needed a place to go for support in dealing with this life changing disease. Legacy also operates Legacy Founders Cottage, a seven-bedroom house that provides around-the-clock care for critically ill and dying AIDS patients in a home-like setting. 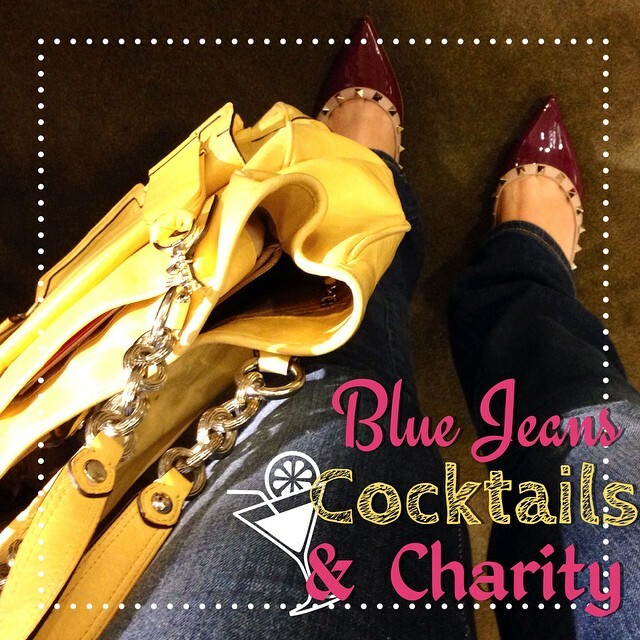 10% of all proceeds from purchases at the Blues Jean Bar that night went towards providing scholarships for women living with HIV/AIDS to attend the 2015 Grace Project National Conference for Women Living with HIV, the largest in the nation. A huge thank you for everyone that went! 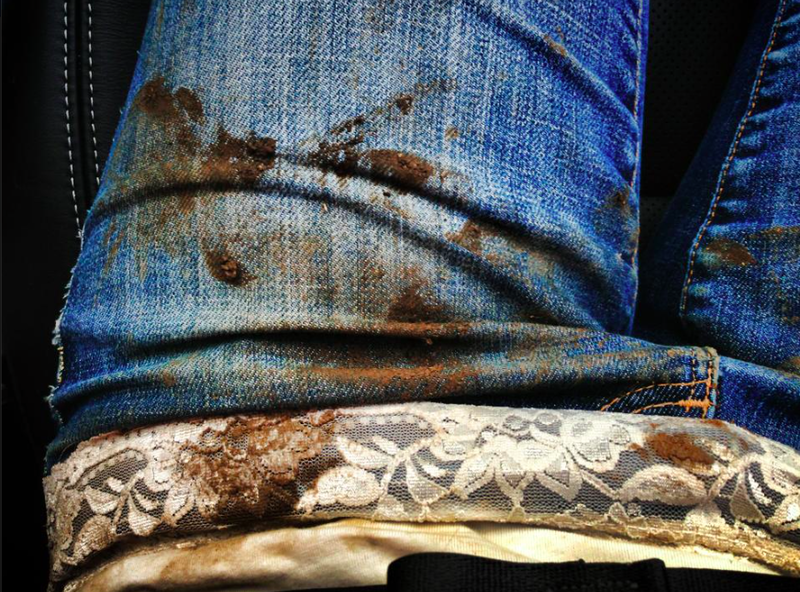 What are you favorite pair of jeans and why? Let us know in the comments below!